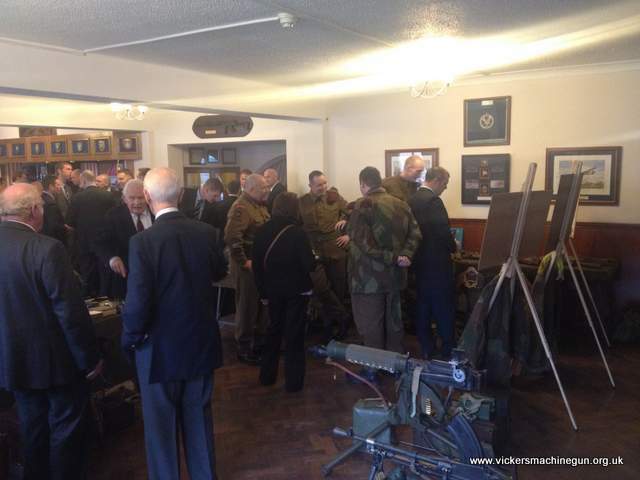 Following on from the 71st Anniversary Lunch, Chalk and OBLI LHG were permitted a visit to the MAF just down the road from the Army Aviation Centre. I haven't been to the museum for a couple of years so it was a pleasure to go again, especially in uniform! 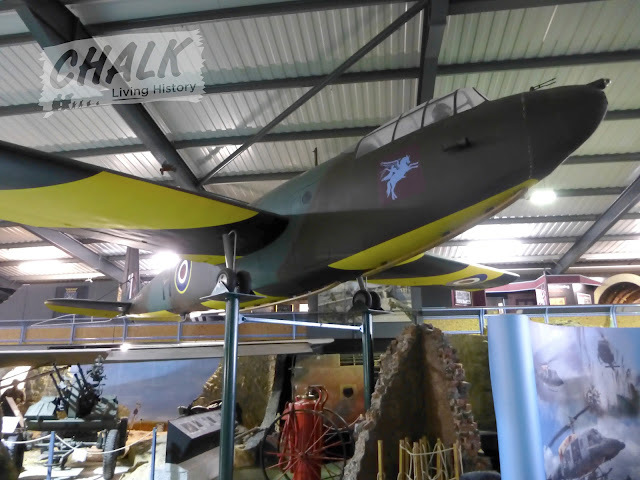 The exhibits within the museum are superb, and cover just about every aspect of Army flying and the GPR itself; a Miles Magister, Kirby Kite, Waco (Hadrian), parts of Horsa's and even a large part of a Hamilcar glider which was found in a farmers field in the 1970's being used as a chicken shed! (now thankfully reconstructed and put on display). 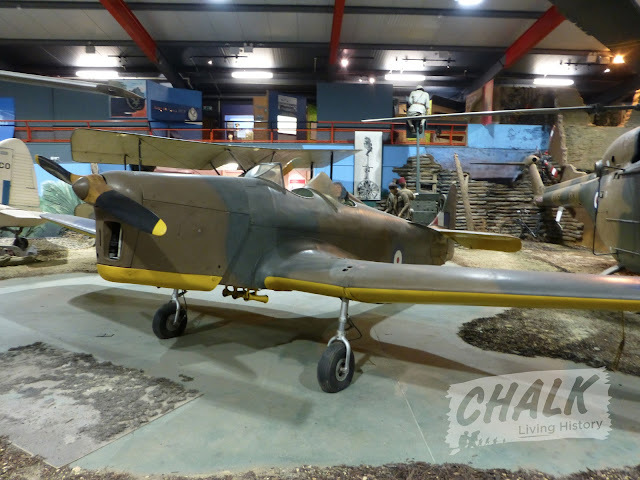 If you're interested in Army flying and are anywhere near Middle Wallop this summer, then you must check out this museum. 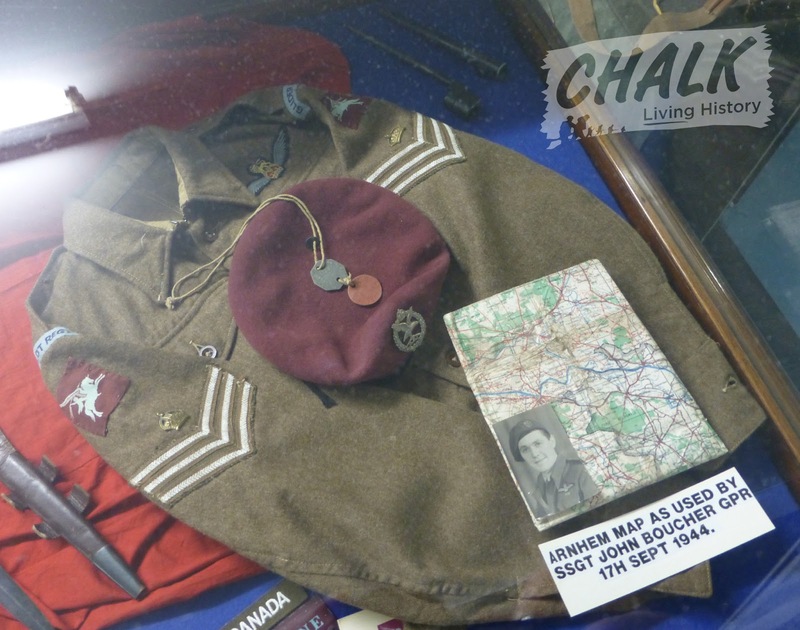 However, the absolute highlight of my visit was being able to lower the flag of the Glider Pilot Regiment which flies outside the Museum's entrance. This was a real honour, and I'd like to thank the museum and Josh Elson for allowing me the opportunity. Myself and OBLI LHG in front of one of the Museum's Horsa gliders. 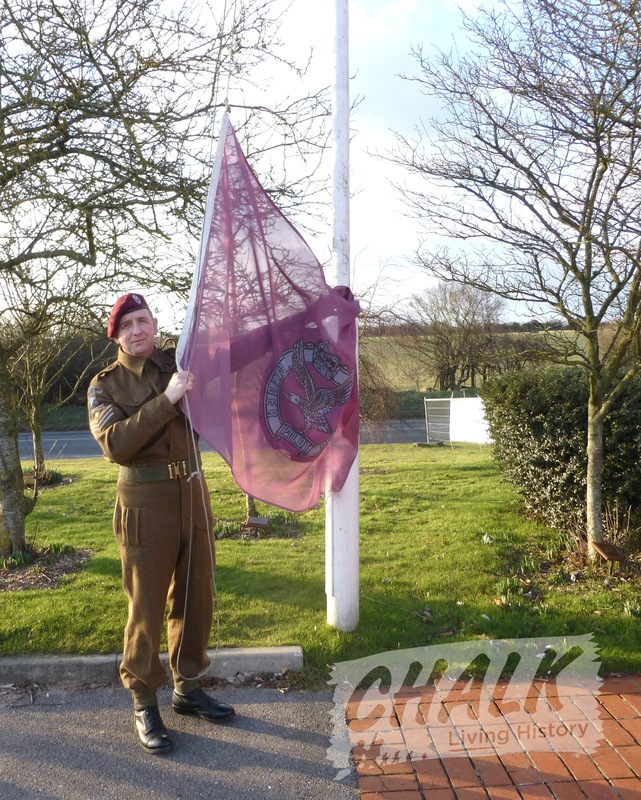 Myself; lowering the Glider Pilot Regiment flag at the end of the day. The museum has many artifacts pertaining to the Glider Pilot Regiment along with Army Flying exhibits. 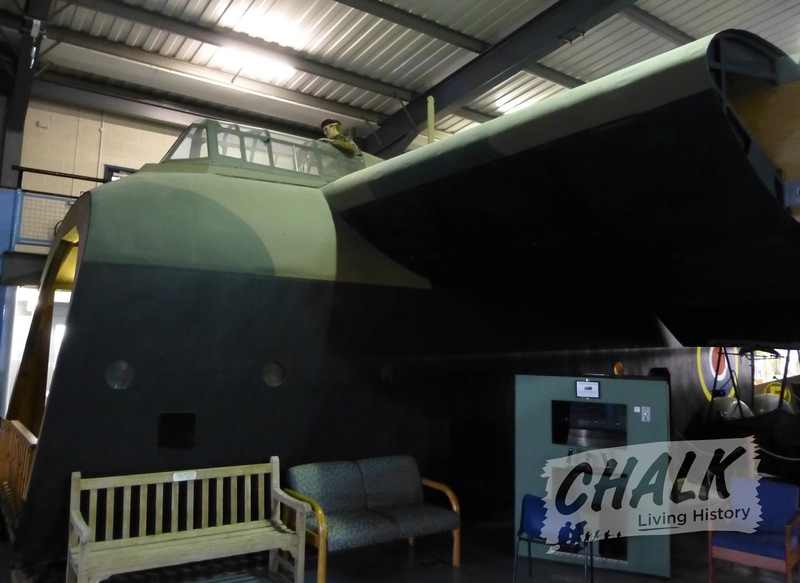 The mighty Hamilcar glider, once used as a farmer's chicken shed! The Miles Magister training aircraft. The Hotspur glider was the main training glider for the Glider Pilot Regiment. 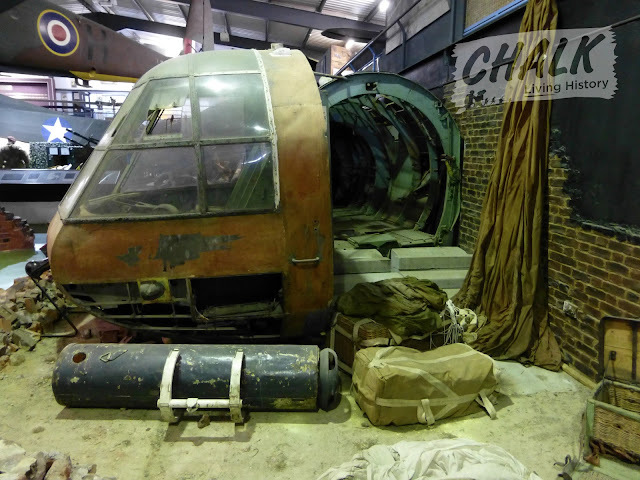 A Mk2 Horsa glider cockpit and fuselage. Shown in front are a collection of resupply canisters and packs. 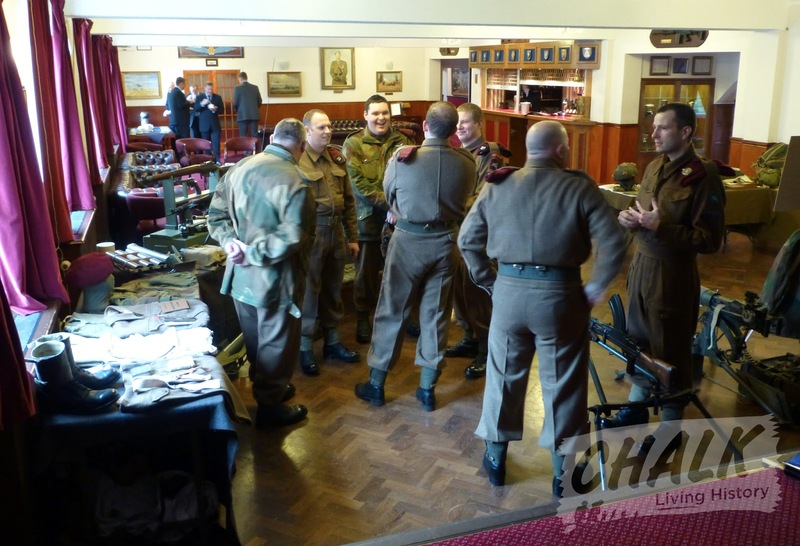 On Thursday 21st February 2013, Chalk along with the 2nd Battalion (AB) OBLI LHG were privileged to attend the 71st anniversary luncheon of the formation of the Glider Pilot Regiment at the Sergeant's Mess, Army Aviation Centre at Middle Wallop in Hampshire. 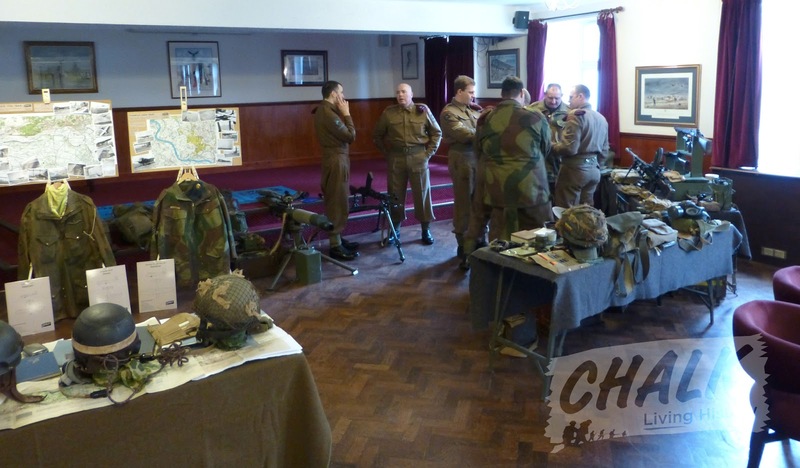 Both groups set up there displays in the Sergeant's Mess in the morning, whilst the GPR veteran's along with relatives and GRPA members attended a wreath laying at the site of the old Tilshead Camp (I think I'm right here? but please correct me if I'm wrong). When the memorial party returned to the mess we were able to greet them with a first class (hopefully) display of GPR related memorabilia alongside an excellent Airlanding display by the aforementioned OBLI LHG. After a short break which allowed everyone to warm up after their cold morning on Salisbury Plain luncheon was served and the two groups quickly and quietly packed away their displays, took a spot of lunch themselves and then departed for a complimentary visit to the nearby Museum of Army Flying just down the road (photo's to follow). Chalk would like to thank the AAC and GPRA for allowing them to display and be part of this exclusive day. We're already looking forward to next time.. hint, hint. As usual with these events, I can't take photographs and talk about the display at the same time, so I've put together a selection of 'set up' photographs and Richard Fisher has forwarded me a couple that he took of the vet's and GPRA members. Part of the Chalk display during set up. 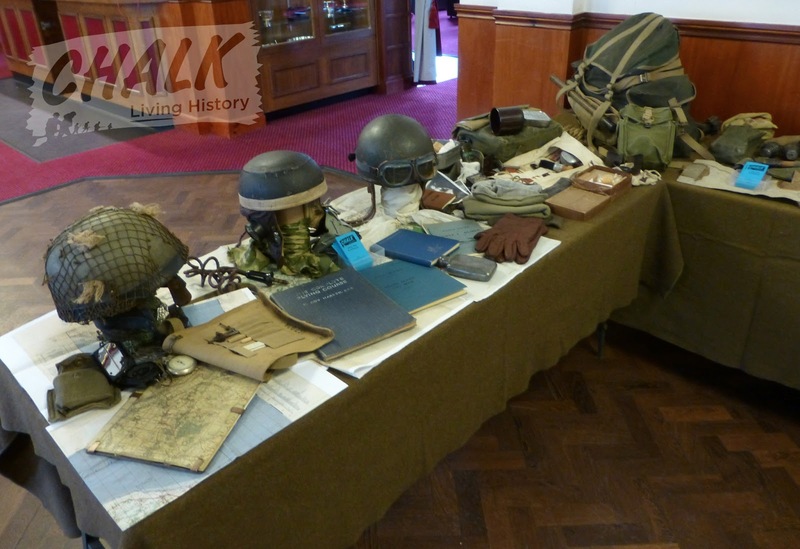 Showing a selection of GPR ephemera, an Airborne helmet, GPR flying helmet and the fibre dispatch rider helmet commonly used whilst training on the Hotspur at GTS. More of the Chalk GPR display during set up. The Chalk operational boards; Tonga/Mallard/Deadstick, Market and Varsity (Sicily to follow when I source a good enough operational map and photographs - watch this space). A shot of OBLI LHG awaiting the return of the veterans and GPRA members. 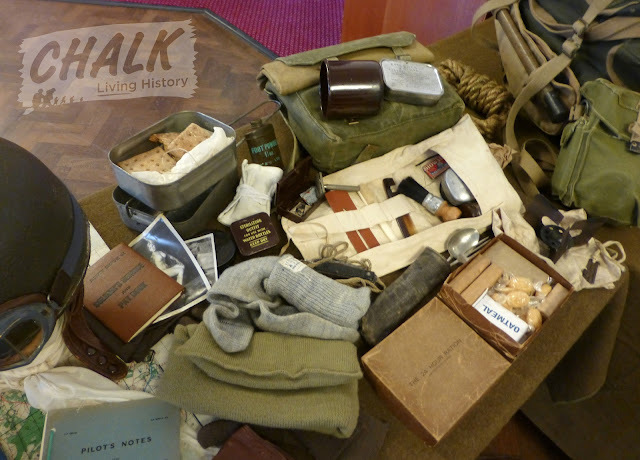 Standard British Infantry small pack contents on the Chalk display. The two groups displays alongside each other in the Sergeant's Mess. Veteran's and GPRA members take a moment to view the displays. Photo courtesy of Richard Fisher. 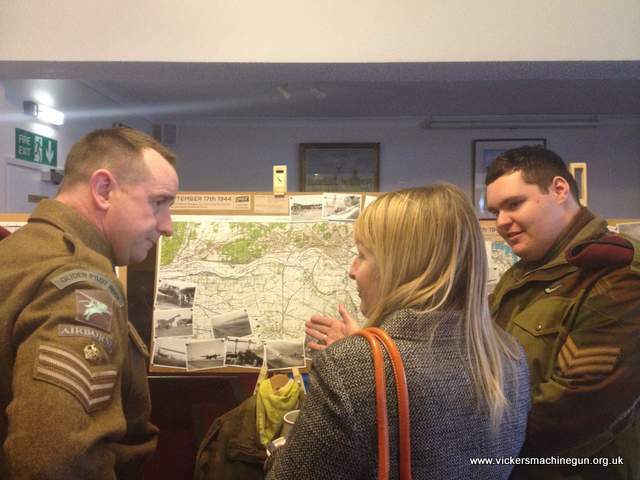 Myself on the left and Josh Elson reenactor and MoAF volunteer researcher talk to Jane Barkway, one of Geoff Barkway's daughters, about her fathers exploits on D-Day. 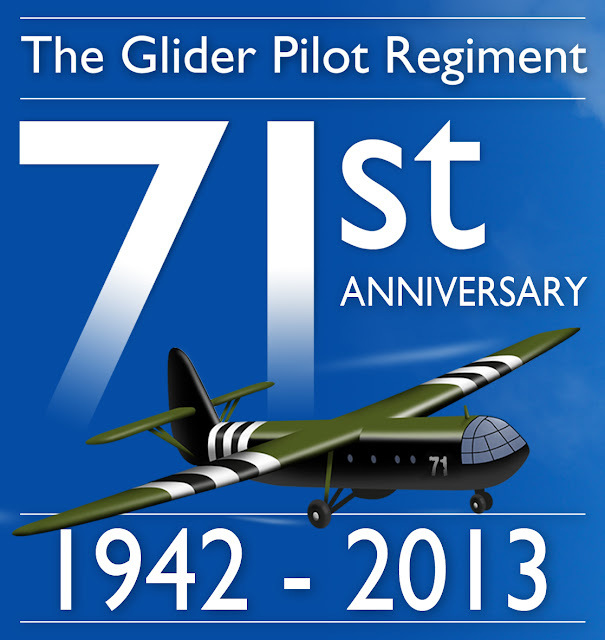 February 24th 2013 will mark the 71st anniversary of the formation of the Glider Pilot Regiment. The Glider Pilot Regiment was officially established by Army Order, 71 years ago on 24th February 1942. Much has been written regarding the formation of the Regiment (see recommended reading list) and there are now also several books dedicated to the overall history and actions in which the Regiment took part. 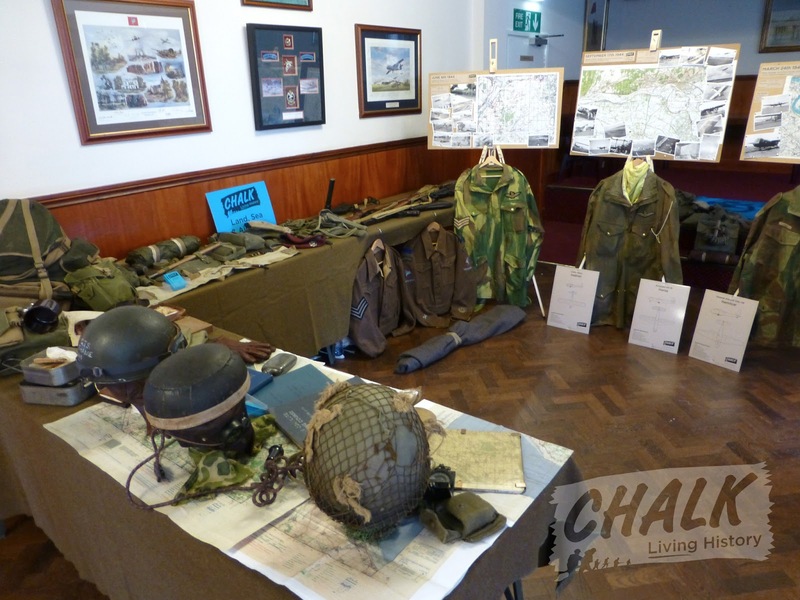 With battle honours including; The Normandy Landings, Arnhem, The Rhine Crossing and Sicily. Let's not forget that the Regiment lived on until the formation of the Army Air Corps in 1957 and so also saw service in Palestine and Malaysia as well as some pilots taking part in the Berlin Airlift in powered aircraft! The original Commanding Officer of the Regiment, Lt Col John Rock was tragically killed in a flying accident in September 1942. He was replaced by Lt Col George Chatterton who realised that he needed a unit of men who would be able to fight and fly to extremely high standards - total soldiers. To this end Brigade of Guards Drill Sergeants were brought in to manage an in-depth training period and through a unique partnership with the RAF these fighting men were also trained to fly. Chatterton's now famous address to the Regiment shows his no nonsense approach and the level of commitment he demanded. "Those who went to battle in gliders and above all those who get them there, the Glider Pilots, deserve our enduring esteem." 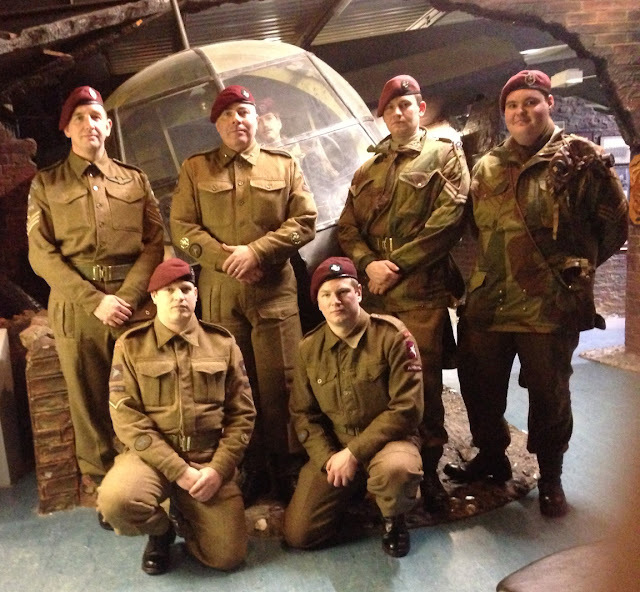 The Glider Pilot Regiment. We will remember them. I came across this the other day whilst searching for some information about Horsa gliders. 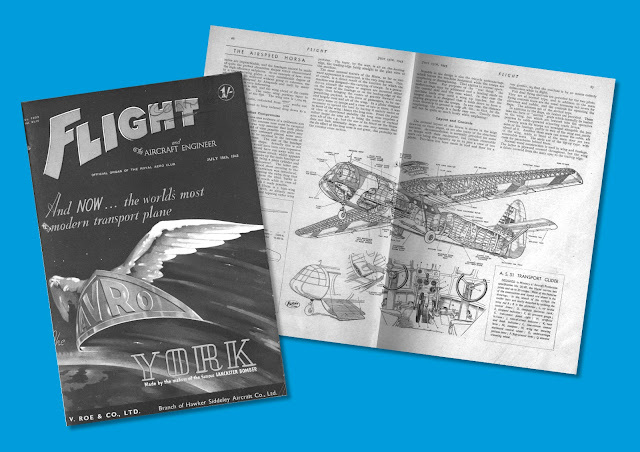 The Flight Magazine website holds PDF archives of the magazine dating from 1909 to 2004! 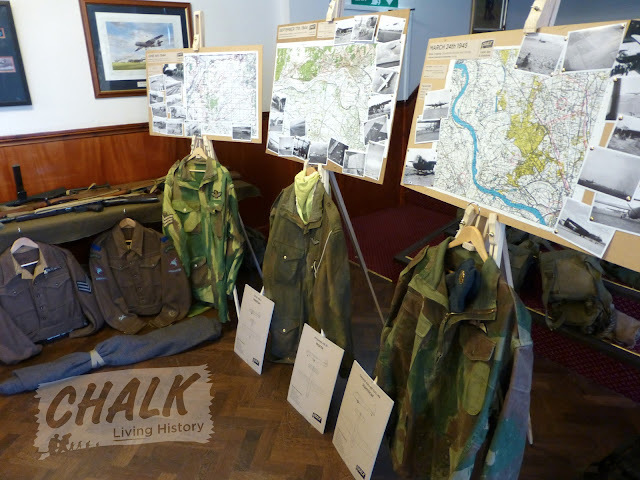 A search facility allowed me to search for 'Horsa', 'Hamilicar', 'Glider Pilot Regiment' as well as other relevant keywords pertaining to the use of gliders in WW2. Once you find your article it is then possible to download a PDF file of that page - superb stuff. 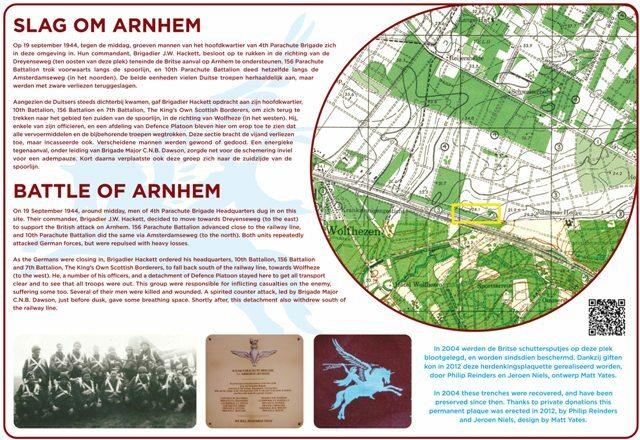 Last year I was approached by my good friend Philip Reinders with a request to design a memorial plaque to mark the unearthed 4th Para Brigade slit trenches located around Papendal near Oosterbeek in Holland. Philip, along with his colleague Jeroen Niels, started the clearing project after locating what remained of the slit trenches back in 2004 and made it a mission to keep the area clear as much as possible over the years until they were finally given permission to place a memorial plaque next to the trenches. 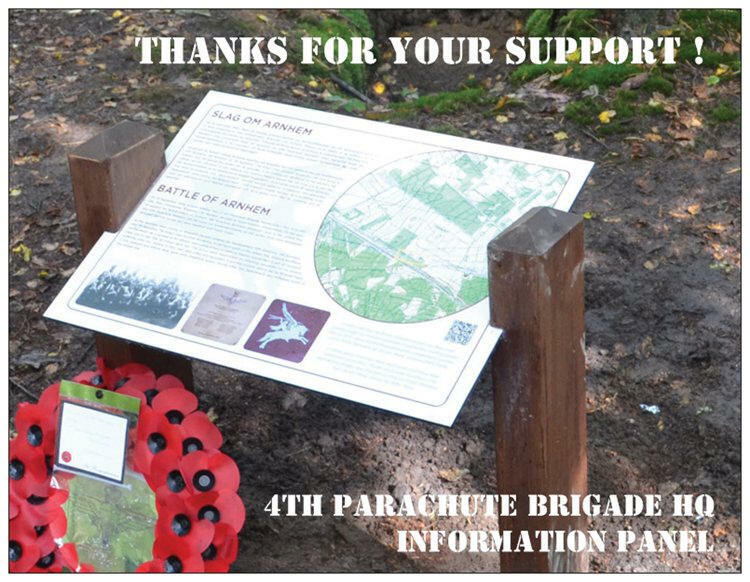 They organised this themselves and many enthusiasts and historians were kind enough to donate money towards having the plaque made, I was honoured to donate the design and artwork of the plaque itself. I'm sure you'll agree that this has been a worthy effort on the part of all involved. Please see pics of the plaque and slit trenches below.